Content and Web Producer: John P. Walsh. 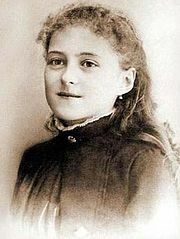 God Cherishes Simplicity: a brief account of the life of Saint Thérèse of Lisieux (French, 1873-1897). 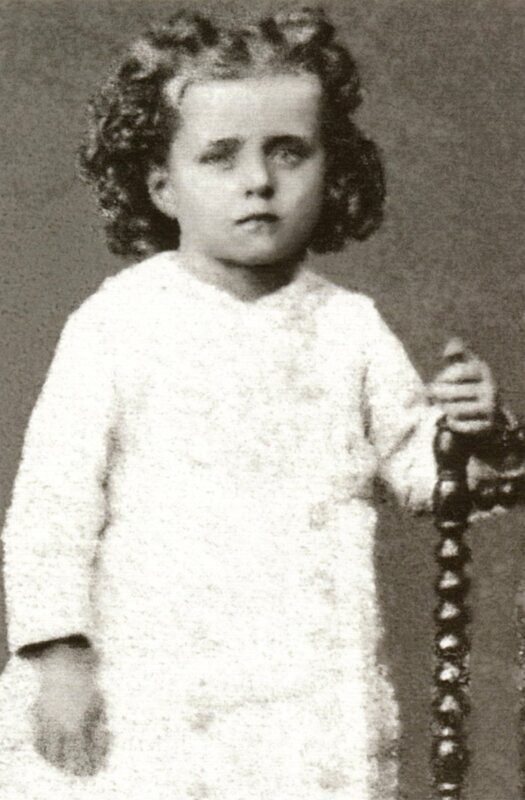 Thérèse Martin at 8 years old in 1881. The Martin family had moved from Alençon to Lisieux to be with the Guerin relatives. Its larger portrait with her sister Céline is next to it. Born Marie-Françoise-Thérèse Martin in 1873, she was the youngest of five sisters and lively and precocious. 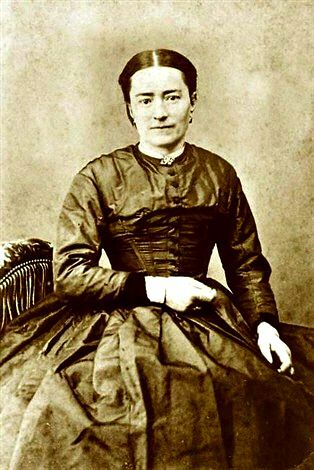 She lost her mother Zélie Martin (née Guérin, 1831-1877) to breast cancer as a four-year-old and the decade that followed – according to Thérèse’s journal (The Story of a Soul, begun in 1895) she faced the most “distressing” years of her life.2 Thérèse’s mother was the breadwinner in the Martin house and after she was gone Thérèse naturally turned for nurturing to her father Louis (1823-1894) and four older sisters, especially the second eldest, Pauline. For the rest of the 1870s and into the 1880s Thérèse was the high-spirited baby sister in a family home called Les Buissonnets in the French town of Lisieux. 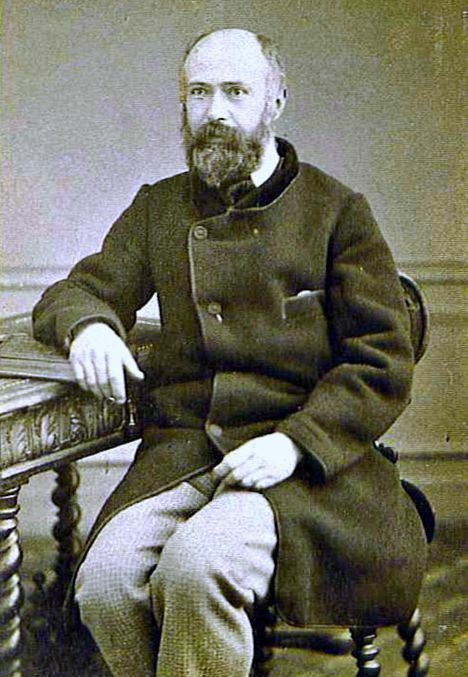 St. Azélie-Marie “Zélie” Martin née Guérin (1831 -1877). 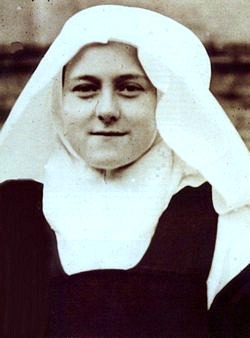 mother of Thérèse. With her husband Louis, she will be canonized on October 18, 2015. 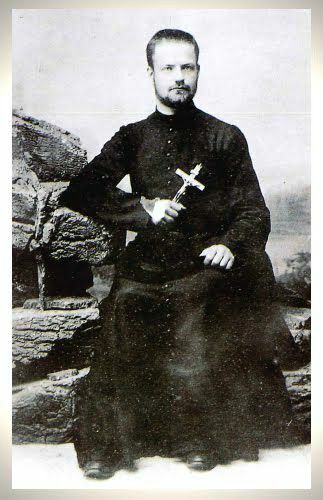 St. Louis Martin (1823 –1894), father of Saint Thérèse of Lisieux. Marie (1860-1940), the eldest Martin sister. After she entered the Carmel in Lisieux, she was called Sister Marie of the Sacred Heart. Pauline (1861- 1951). Thérèse’s favorite sister. 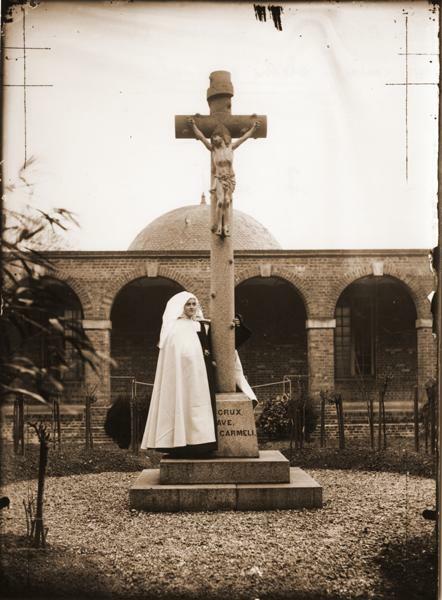 When she entered the Carmel in Lisieux her name was Mother Agnes of Jesus. Léonie (1863-1941). Entered the Visitation Sisters in Caen and took the name Sister Françoise-Thérèse. Céline (1869-1959) was four years older than Thérèse and closest in age. 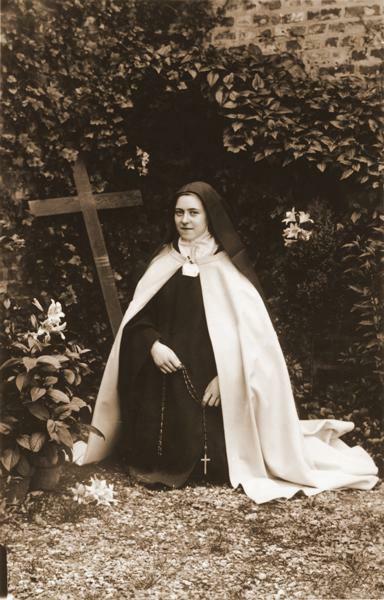 She entered the Carmel in Lisieux after Thérèse did and took the name Sister Geneviève of the Holy Face. 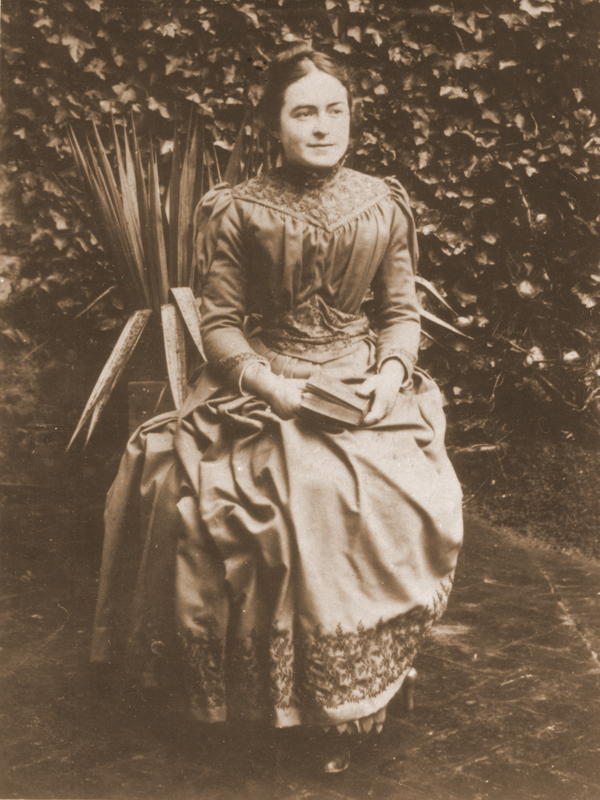 On April 9, 1888, a 15-year-old Thérèse entered the Carmel de Lisieux on Rue du Carmel, less than a one-half mile walk from Les Buissonnets. Younger than a typical postulant, exceptions had to be made. She received the habit after some delay (mostly because of her father’s declining health) in January 1890. 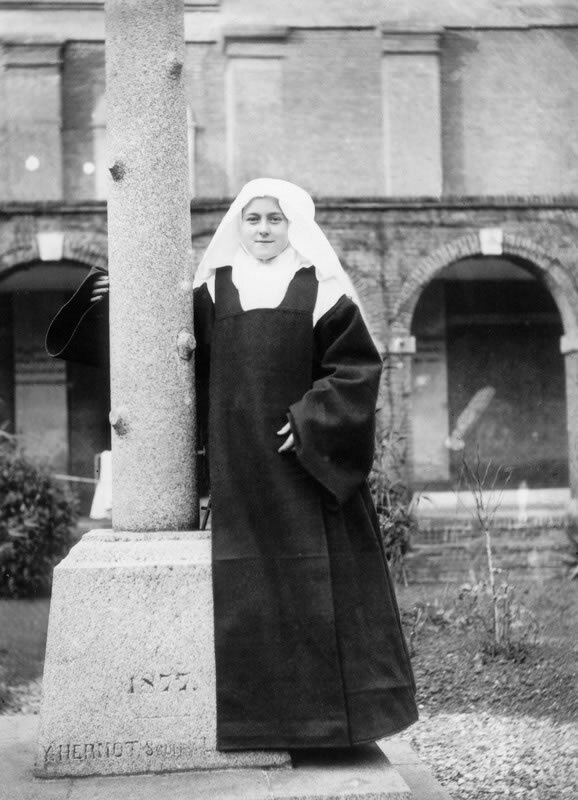 Although her profession was also postponed, Thérèse’s spiritual life was deepening through her reading of another Carmelite, St. John of the Cross (1542-1591). 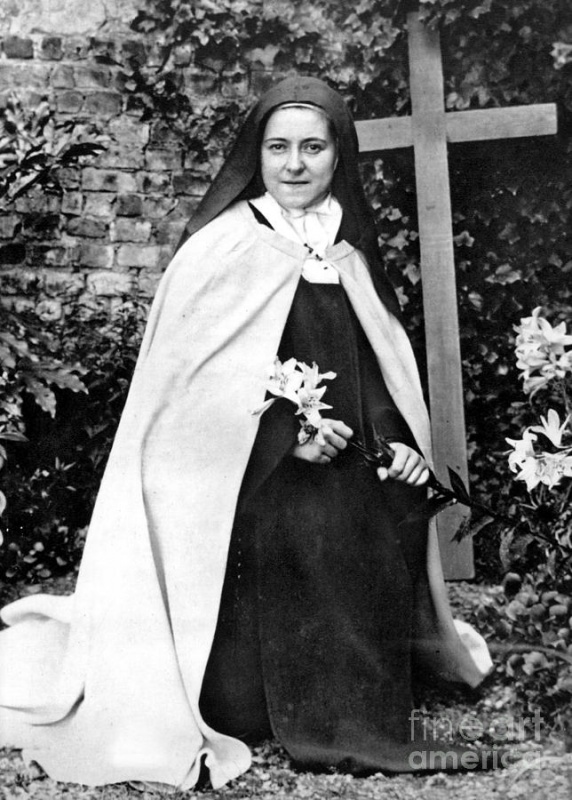 In due time, despite difficulty in prayer and doubts about becoming a nun, Thérèse received the black veil in September 1890. In early 1891 an 18-year-old Thérèse was made a sacristan’s aide, a duty she carried into 1892 as her father lay slowly dying. During this time her reading and prayer transitioned to the Gospels and she began to write poems for which she had talent. 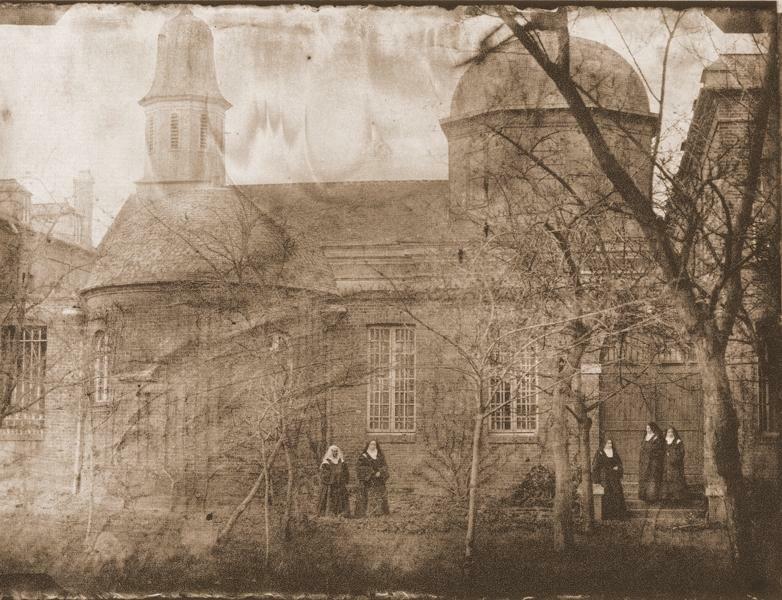 Founded in 1838 as a “progressive” convent so that by the 1890’s the nuns were allowed to practice photography within its walls, the Carmel was also a working-class foundation comprised of daughters of shop-keepers and craftspeople brought up to expect a day’s work for a day’s wage. 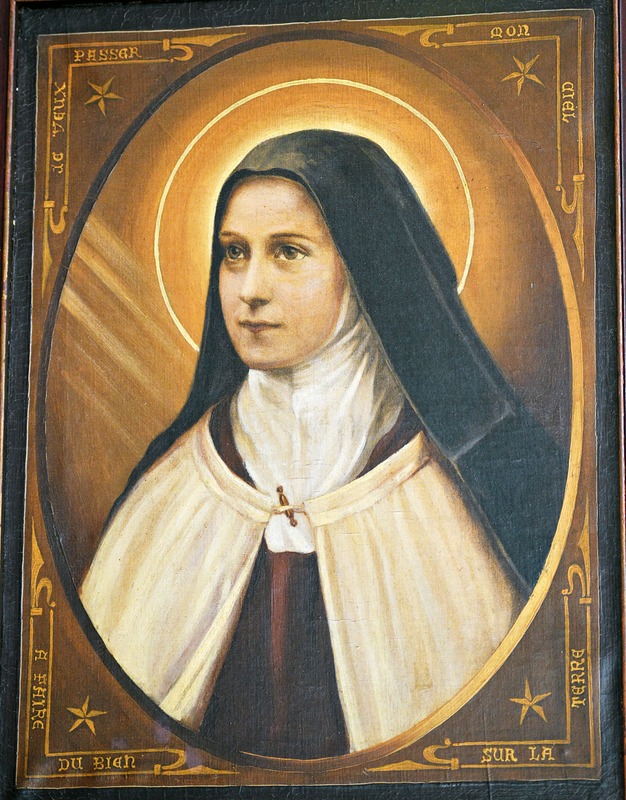 When Thérèse’s favorite sister Pauline was elected prioress in early 1893, Thérèse was appointed novice master (and remained a novice herself) and embarked on her second artistic avocation of picture painting. 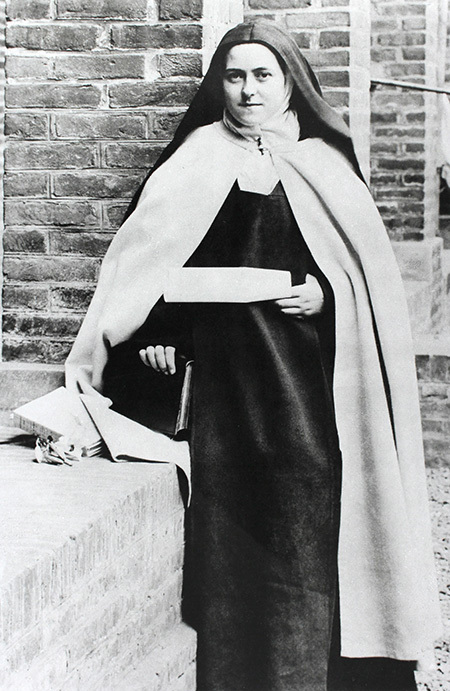 Scheduled to graduate from the novitiate in September 1893 it was postponed in part due to convent politics and the duty of doorkeeper’s aide was added to Thérèse’s tasks. In the spring of 1894 Thérèse began to experience chest pains and a hoarse throat that grew worse by summer. 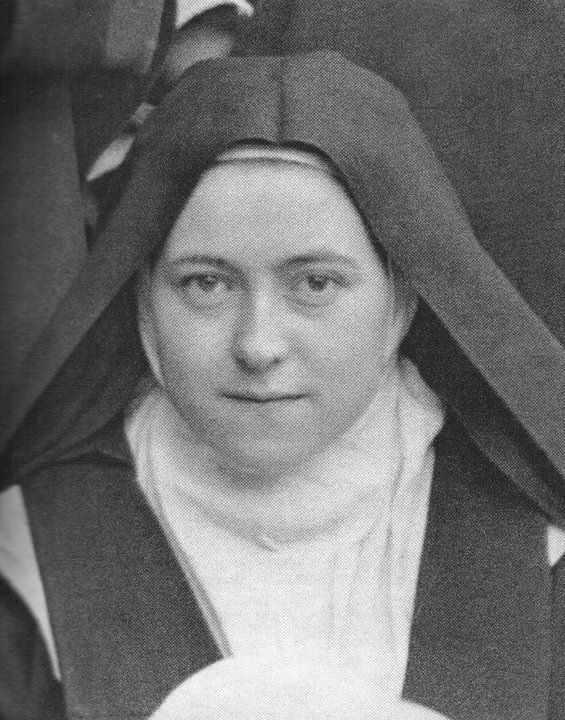 After her father died in July and Céline entered the Carmel six weeks later, Thérèse began to seriously formulate her “little way” of seeking holiness of life based on scripture passages and before the year was out Pauline (Mother Agnes Of Jesus) ordered her to begin to record her life story in a journal (The Story of a Soul) that the novice would compose in segments in her free time over the next two and one-half years left to her. Early in 1895 Thérèse voiced the first prediction of her death as her prayer life was working out an idea for what she would dedicate her life to. It would be a life with God whom she termed Merciful Love. She confided these developments to Céline so that by summer 1895 Thérèse could recommend the same devotion to more nuns in the community. Throughout the rest of that year Thérèse continued to compose poems (and give them as gifts on special occasions), write plays and paint pictures. Her spirit was characterized by humility. Thérèse writes: “How shall she prove her love since love is proved by works? Well, the little child will strew flowers, she will perfume the royal throne with their sweet scents, and she will sing in her silvery tones the canticle of Love.”5 (the emphases are Thérèse’s). Taken in July 1876, Thérèse is 3 and a half years old. As a child she was often stubborn and headstrong. 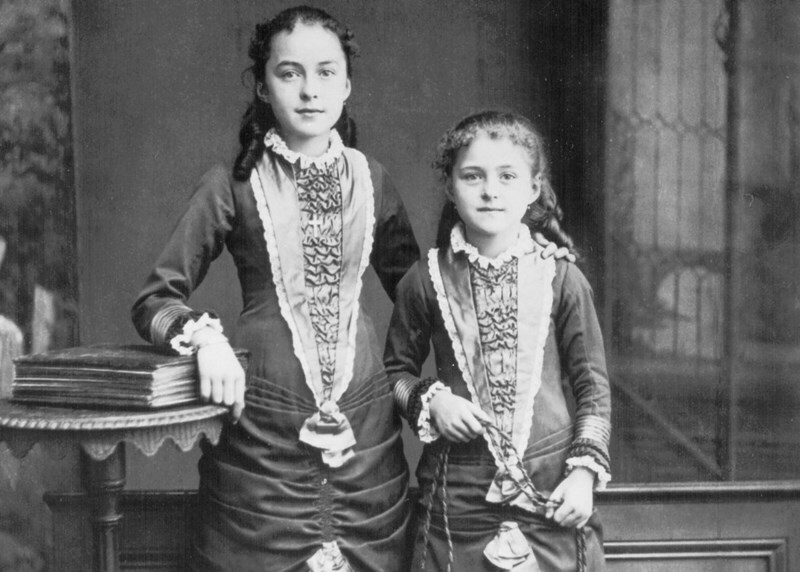 Céline and Thérèse in 1881. 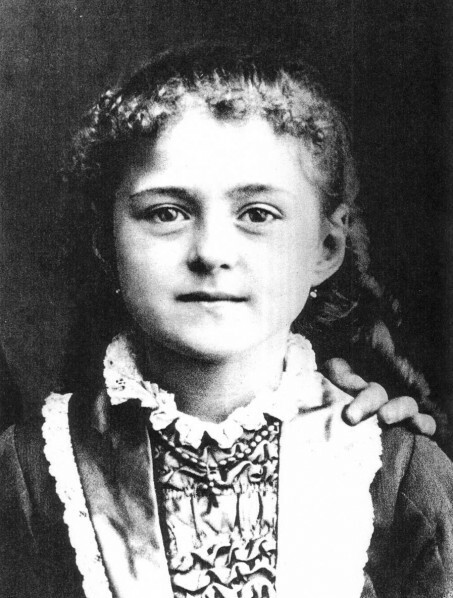 Thérèse is 15 years old in this photograph taken in October 1887. At this time Thérèse was seeking permission from the bishop at Bayeux to enter Carmel (the convent). She finally entered on April 9, 1888. 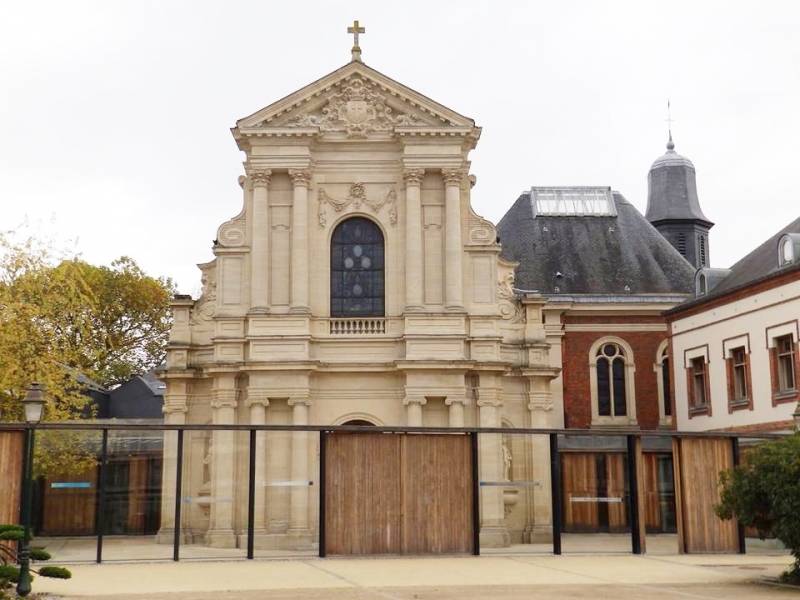 Carmelite convent (Carmel) where Thérèse Martin entered at Lisieux in April 1888 in a recent photograph. Photograph of Carmel taken by Céline in September 1894. Thérèse stands on the steps, third from the right. 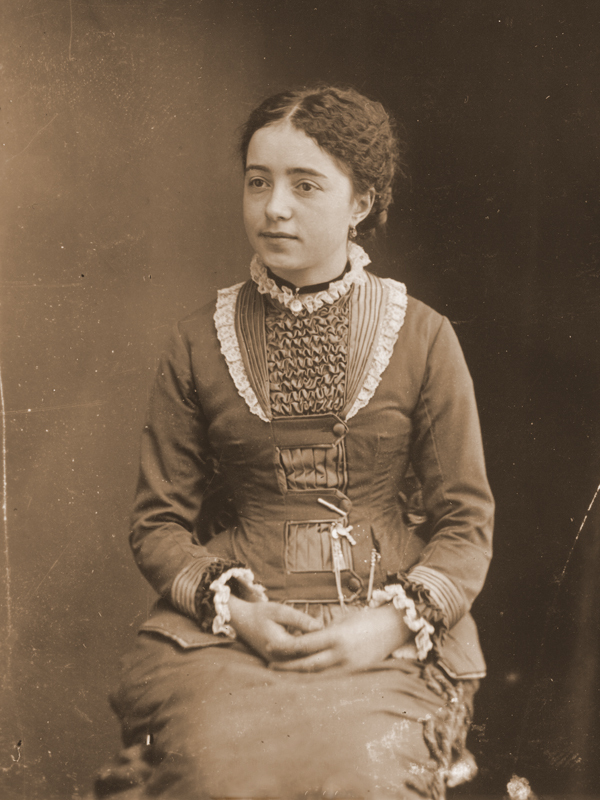 Thérèse as a novice in Carmel in a detail of a photograph taken in January 1889. She was 16 years old and in the convent nine months. 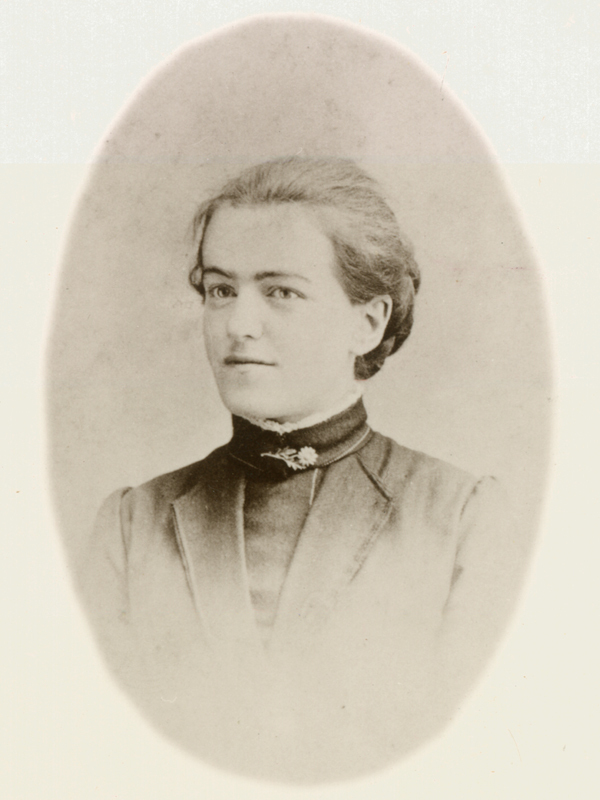 Thérèse as a novice in January 1889 in a photograph taken by Fr. Gombault, bursar of the minor seminary. 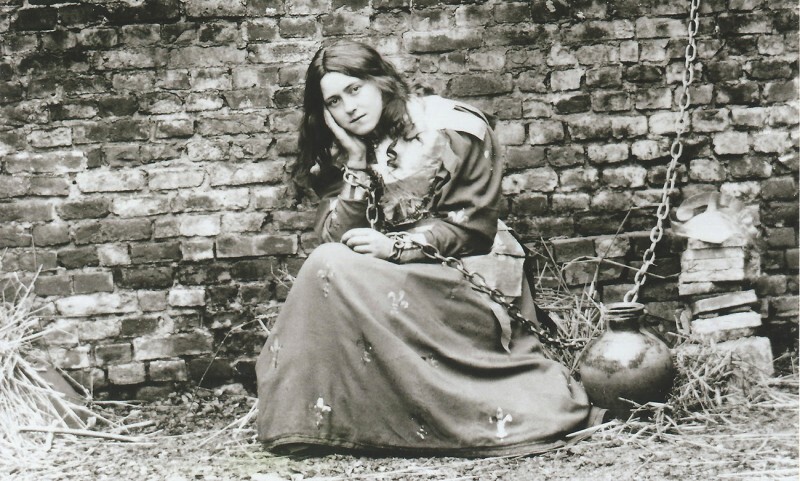 Thérèse in January 1889 in a photograph taken by Fr. Gombault. 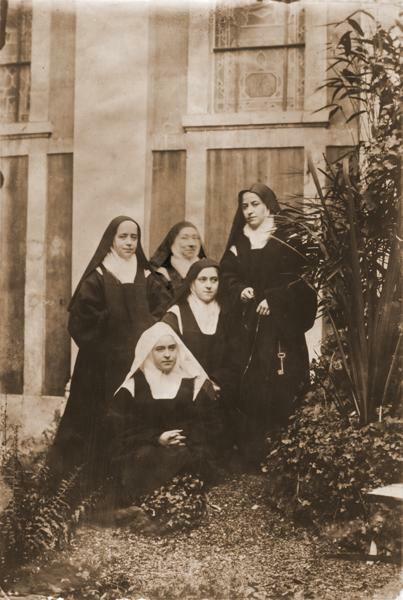 Thérèse (right) was one of five Martin sisters who became religious nuns. Taken in late 1894 or early 1895 by Céline. Detail of a photograph of Thérèse taken in late 1894 or early 1895. This image became the basis for an oval portrait painting done by Céline. This is the original oil oval portrait painting of Thérèse by Céline based on a photograph of Thérèse around Christmas 1894. 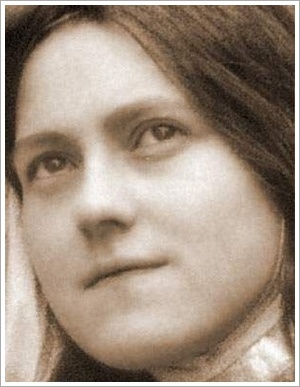 Céline claimed that this image captured the real Thérèse. Photograph by the author. Photograph of Thérèse dressed as Joan of Arc taken by Céline between January 21 and March 25th, 1895. 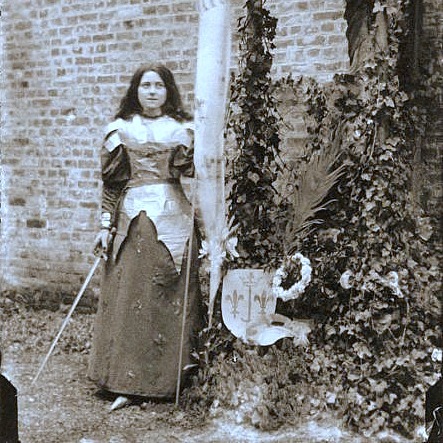 Thérèse dressed as Joan of Arc in a photograph by Céline, 1895. 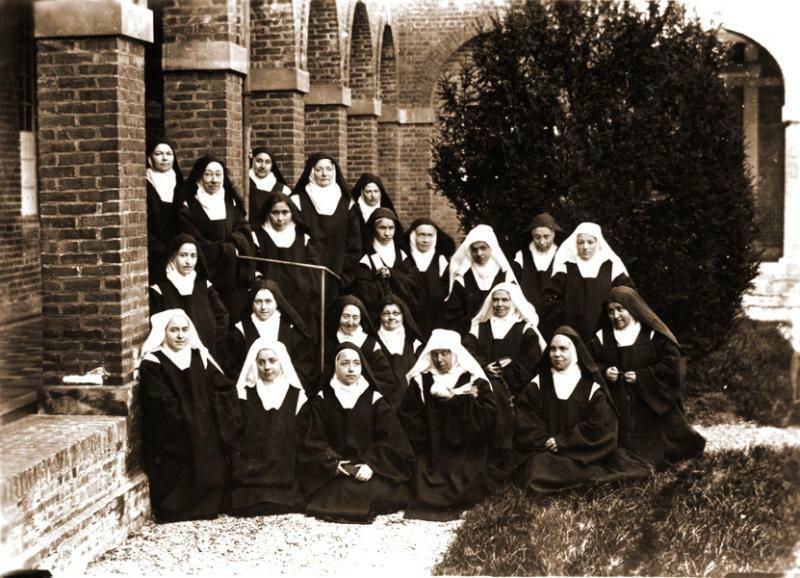 Community of 23 Carmelites in a photograph taken by Céline on Easter Monday, April 15th, 1895. First row left to right: Geneviève of the Holy Face (Celine). Second row left to right: Mother Agnès of Jesus (Pauline) and Thérèse of the Child Jesus. Easter Monday, April 15, 1895. 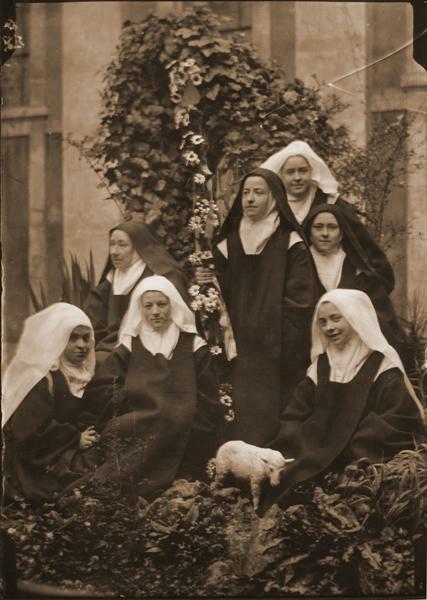 Photograph taken by Céline for the feast of the Good Shepherd, April 27 or 28, 1895. 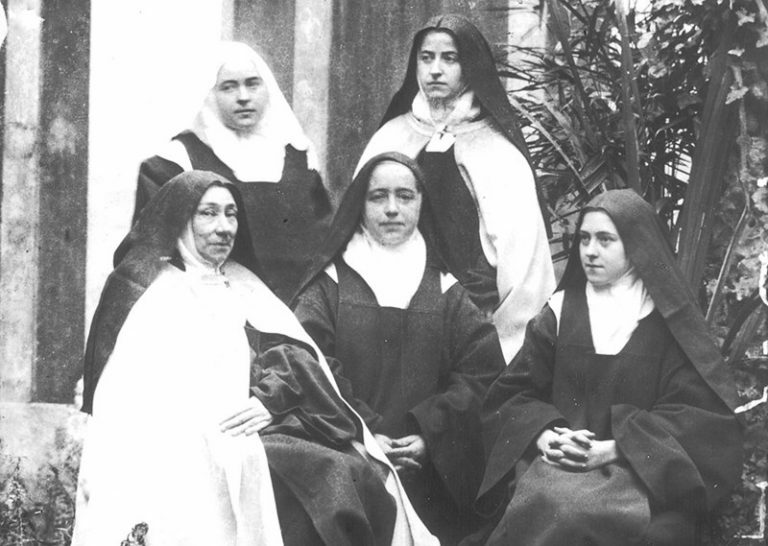 Thérèse is at right between to white-veiled novices. After July 3, 1896, photograph taken by Céline. Photograph taken by Céline July 1896. Detail in the garden July 1896. 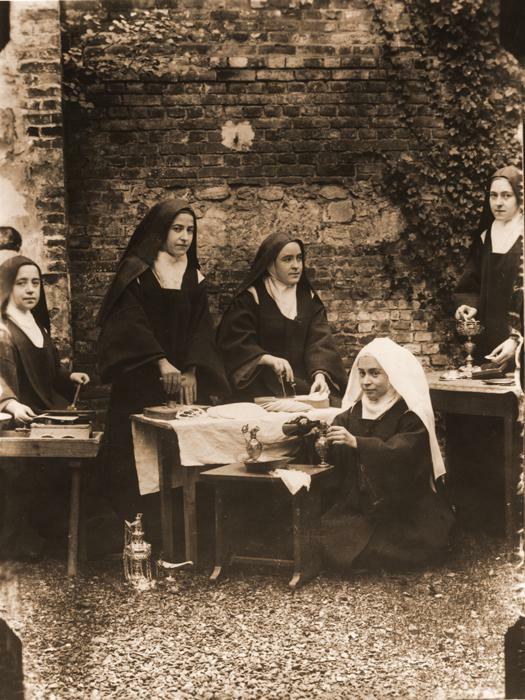 Photograph taken by Céline in early-mid November 1896 of her sisters and cousin showing the work of the sacristan. Thérèse stands at right. 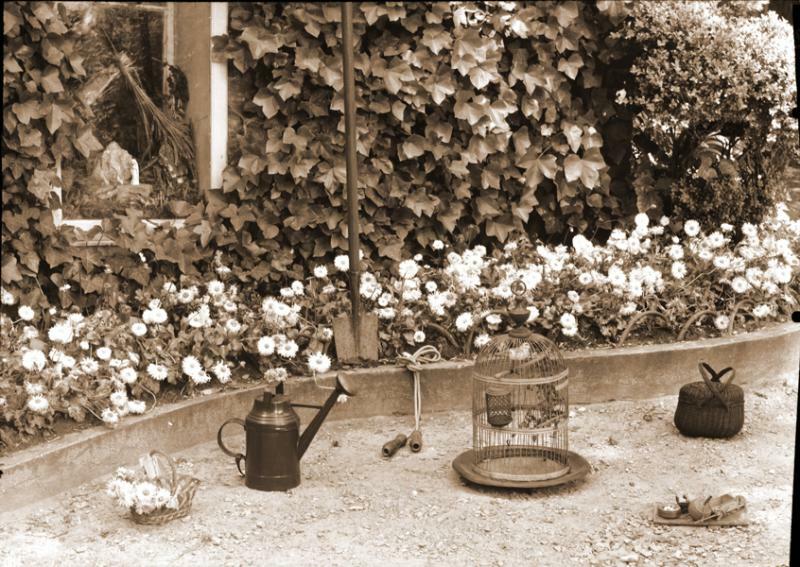 The second pose of three posed photographs taken by Céline in the sacristy courtyard on June 7th, 1897. Therese was just beginning to complete the last section of A Story of a Soul. By April 1897 she was gravely ill and in May was relieved of all work duties and community prayer. She continued to write in her journal but left it unfinished, too weak to write. In August her suffering was so great she admitted to the temptation of suicide. 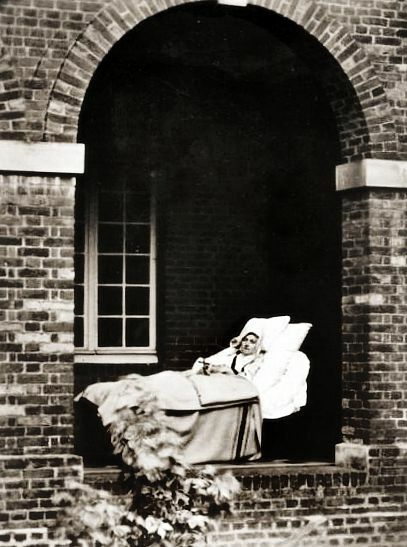 After August 19 she was simply too physically weak to even any longer ingest the communion wafer and, on September 30, 1897, died in the convent infirmary. 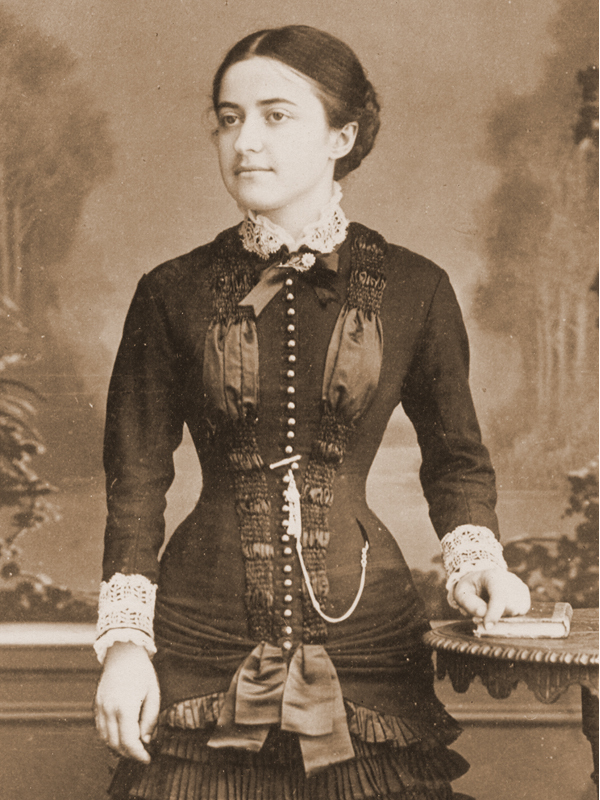 Thérèse was 24 years old. In her last hours she said: “Oh! It is pure suffering because there are no consolations. No, not one! O my God…Good Blessed Virgin, come to my aid! My God…have pity on me! I can’t take it anymore! I can’t take it anymore!…I am reduced…No, I would never have believed one could suffer so much…never! never!…I no longer believe in death for me…I believe in suffering…O I love Him. My God I love you…”9 These last words of the dying nun were reported by more than one witness. 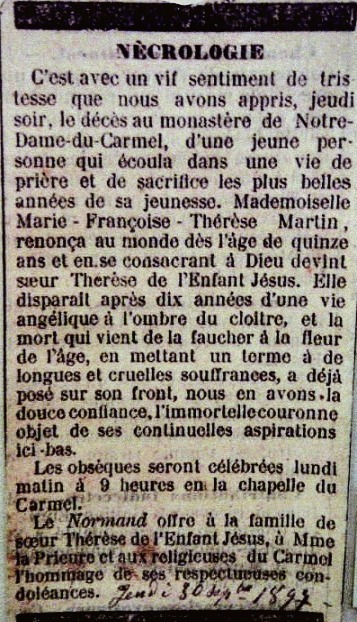 An infirm Thérèse on August 30, 1897, exactly one month before her death. At the centenary of her death in 1997, St. Pope John Paul II (1920-2005) made Thérèse a “Doctor of the Church,” one of only thirty-three such species. By elevating Thérèse’s simple example of love, the Polish pope, himself called out from behind an Iron Curtain and who lived to see it fall, clarified what may constitute a Church Doctor’s character and purpose. 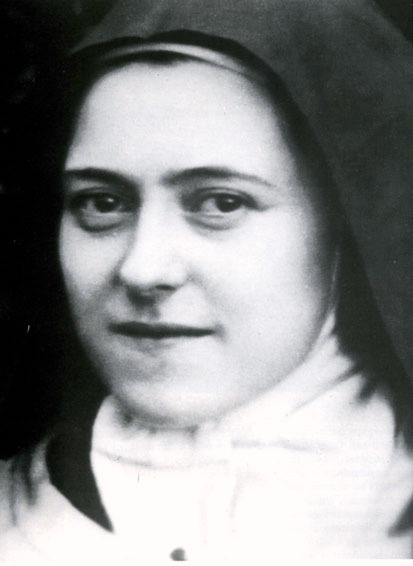 St. Thérèse of Lisieux was beatified on April 29, 1923 and canonized on May 17, 1925 and is co-patron saint of church missions with St. Francis Xavier and co-patron saint of France with St. Jeanne d’Arc (1412-1431). She is also patron saint of AIDS sufferers, pilots, florists, bodily ills (especially tuberculosis), and loss of parents. see Story of a Soul: the Autobiography of St. Thérèse of Lisieux, translated by John Clarke O.C.D., ICS Publications, Institute of Carmelite Studies, Washington, D.C., 1996, pp. 51-67. The Hidden Face: A Study of St. Thérèse of Lisieux, Ida Friederike Görres, London, 2003, p. 83. 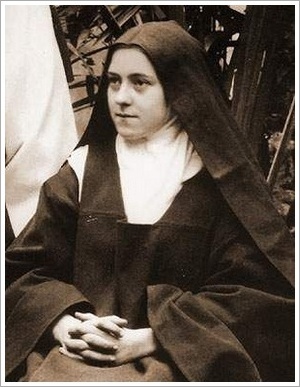 Letter from Thérèse to Father Roulland, LT 226, dated May 9, 1897, Letters of St. Thérèse of Lisieux, Volume II, translated by John Clarke O.C.D., ICS Publications, Institute of Carmelite Studies, Washington, D.C., 1974, p. 1094. Story of a Soul, p. 196. For this paragraph’s chronology see Letters of St. Thérèse of Lisieux, Volume II, 1297-1329. Letter from Thérèse to Father Roulland, LT 189, dated June 23, 1896, Letters of St. Thérèse of Lisieux, Volume II, translated by John Clarke O.C.D., ICS Publications, Institute of Carmelite Studies, Washington, D.C., 1974, pp. 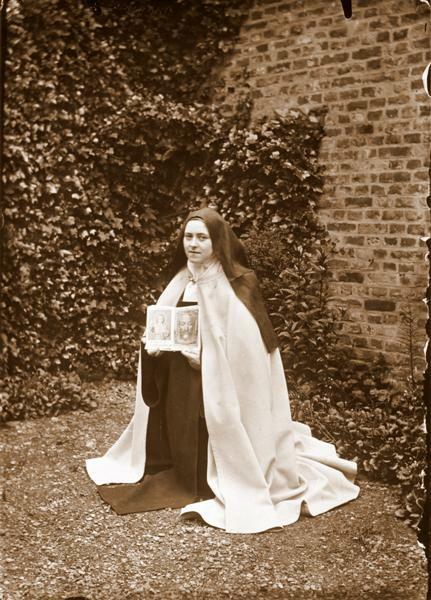 956-957.
see footnote 11 in Letters of St. Thérèse of Lisieux, Volume II, p. 1074. Last conversations, pp. 204-205; 230; 243. ©John P. Walsh. All rights reserved. No part of this material may be reproduced or transmitted in any form or by an means, electronic or mechanical, which includes but is not limited to facsimile transmission, photocopying, recording, rekeying, or using any information storage or retrieval system. This entry was posted in Faith and Religion., World History and tagged Celine Martin, Father Adolphe Roulland, Leonie Martin, Les Buissonnets, Louis Martin, Marie Martin, Pauline Martin, Saint Thérèse of Lisieux, Zélie Martin on October 1, 2014 by jwalsh2013. CORRIDORS: Discoveries in Art, Film, Photography & Culture. Reverend Martin Luther King, Jr.